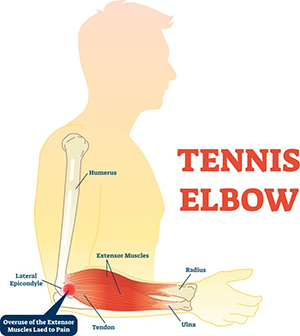 Tennis elbow, also known as lateral epicondylitis (epi-con-dy-li-tis), is a painful condition which occurs when the tendons on the outside of your elbow are overloaded with mechanical stresses. This is usually caused by repetitive motions of the wrist and arm. Symptoms develop gradually, beginning as mild and slowly worsening over weeks or months. At first you may have pain, burning or an ache along the outside of the elbow, which gets worse and radiates toward the wrist if aggravating activities are continued. Pain and tender to the touch around the bony point just above the outside of the elbow. 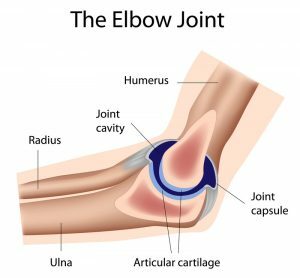 Occasionally, swelling occurs around the lateral elbow. Pain with lifting or gripping, especially when arm is outstretched. Weakness with daily tasks, including: shaking hands, gripping an object, turning a doorknob or holding a coffee cup. Chronic overuse is the most common cause of tennis elbow, but it may also appear after a single incidence of heavy use. According to recent studies, the extensor carpi radialis brevis (ECRB) muscle is most commonly involved and damaged. This muscle functions to stabilize the wrist when the elbow is straight. When the ECRB is weakened from overuse, microscopic tears form in the tendon where it attaches to the lateral epicondyle, leading to inflammation and pain. The ECRB may also be at increased risk for damage because of its location. As the elbow bends and straightens, the tendon rubs against bony prominences, which can cause wear and tear of the tendon over time. Individuals who engaged in activities they’re not accustomed to are at increased risk. This includes those who complete projects such as painting a room in their house, gardening, hammering or performing a new task at work. What can a hand therapist at Armworks Hand Therapy can do for you? Your hand therapist, who is either a physical or occupational therapist specializing in hand therapy, will develop an individualized exercise program. This program will include specific stretching and strengthening exercises which are designed to remodel the involved muscle fibers to regain tendon health. A splint may be recommended and fit to your elbow/forearm to give support throughout the healing process and additionally to provide stress reduction when returning to activities. Your CHT (Certified Hand Therapist) will teach adaptations to your daily tasks to avoid aggravating the healing tendons. Provide modalities to promote healing and pain relief. 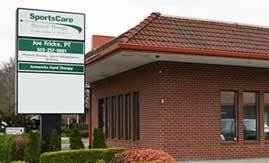 The therapists at Armworks specialize in treatments of injuries occurring at the elbow, wrist and hand. 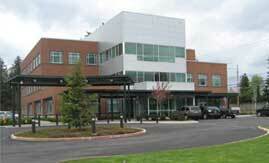 We are properly educated and equipped with tools to treat tennis elbow and related injuries. If you are experiencing any of the symptoms listed above, request an appointment here. 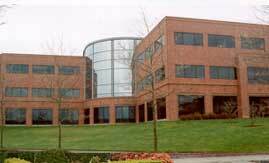 We are conveniently located in Beaverton, Clackamas, Gresham and NE Portland.